Launchpad: Think about how many things she gave away for the sake of the two of you. Some were not easy to let go but she did. Some were painfully sacrificed but she yielded. Marriage is no place for stingy people. It’s an institution of giving. Each spouse must give 100% with no reservations. Nothing should be hidden from each other. Like in the Garden of Eden, we are encouraged to be ‘naked and unashamed’! We must be ready to give our all. Sacrificing for your spouse should come naturally. Our wives do sacrifice a lot for us. 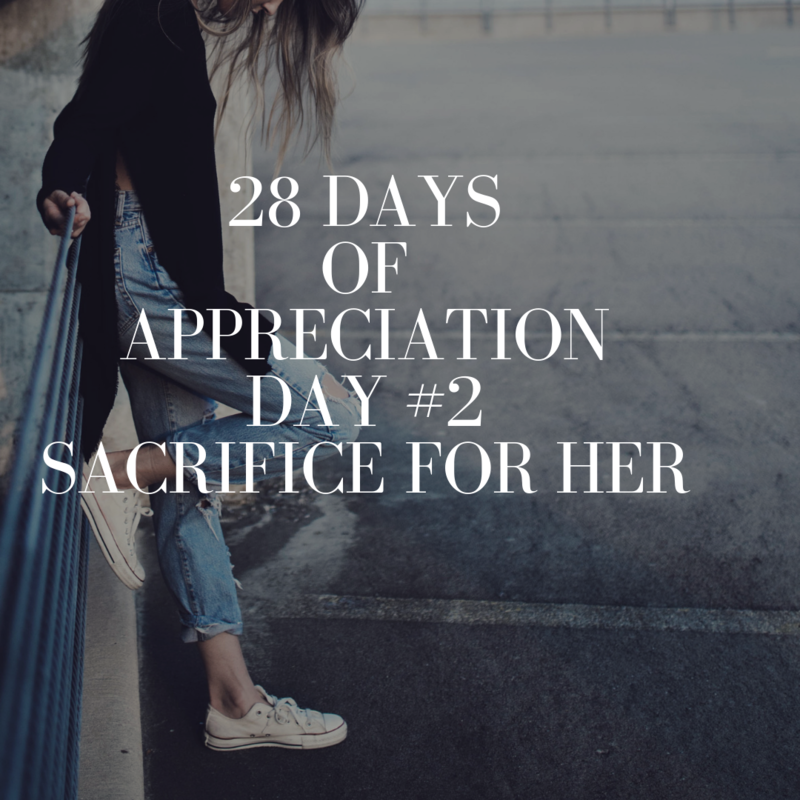 Maybe she sacrificed some of her friends, her hard stand on a particular idea, maybe she gave up a habit for you, stopped going to rave for you, maybe she stopped drinking or smoking for you. Maybe she sacrificed her comfort for yours, her sleep to take care of you and yours, her monies so that you can get out of debt or invest in a project. She gave it all! Whatever it is that she sacrificed, thank her! In reciprocal, what is it that you can give up for her? Don’t just tell her that you will give up the whole world for her yet in the real sense you can’t give up anything! What is it that you have clung on to for so long but it would be beneficial for your spouse if you give it up? Are there habits that you can stop? Are there friends you can cut off? Are there things (material or immaterial) you need to leave? Have you left your mother and father and really clung to your wife or are they the decision makers in your own marriage? Whatever you shall give up for her, take some time today and let her know, but first thank her for the sacrifices she’s made for you. Dear God, it’s me again. I thank you for my wife and for molding her to fit into my life. Thank you for the giving her the grace and resolve to give up certain things (name them) for me. It’s my desire to leave and give up (name them) these things for her and for your glory. Give me the strength and the will to do this. Born of God. Husband to the one and only Mary Munene. Father to a beautiful soul.